The Northern Spotted Owl is a fairly large, brown owl, 40 to 48 centimetres long, with a puffy round head and no ear tufts. The chocolate to chestnut brown feathers of the head, neck, back and under-parts have many circular or irregular white spots, for which this attractive owl is named. 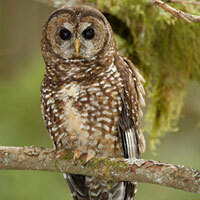 The Northern Spotted Owl has large, round facial discs with dark outer rims, dark brown eyes and a yellowish-green bill. The striped skunk, a member of the weasel family, is about the size of a cat, but has a stout body, small head, short legs, bushy tail and thick, black, glossy fur. The thin white stripe down the centre of the face forks at the shoulders and continues as a white stripe along each side of the back. Tail is mostly black, but stripes may extend down it, usually to a tuft of white at the tip. 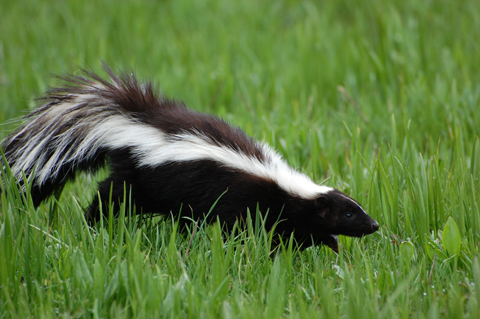 The skunk is one of the most useful small mammals inhabiting Canada’s mixed farmlands, grasslands and forests because it helps control pests such as mice, grubs and larvae. On average a skunk weighs 3.25 kilograms and is approximately 57.5 - 80 centimetres in length. In the wild a skunk is estimated to live 3 years but in captivity they can live up to 15 years. Northern Flickers are a mid-sized woodpecker reaching approximately 32 centimetres. 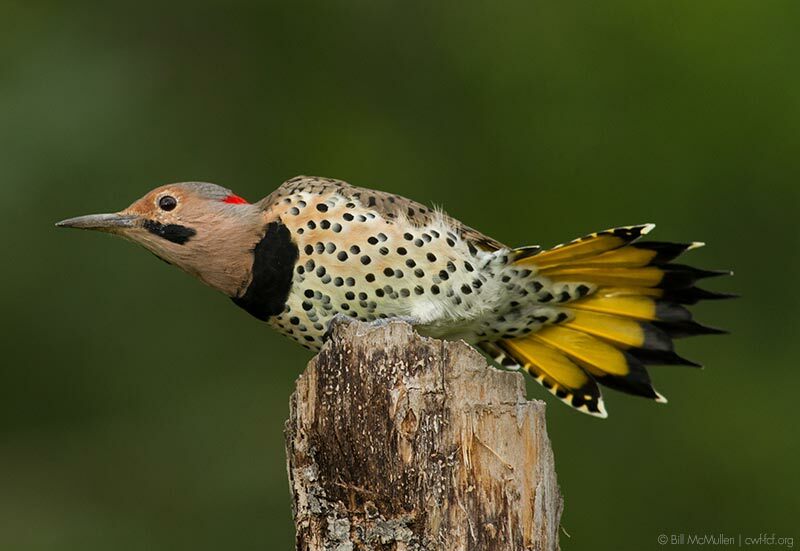 There are two types, the more widely spread Yellow-shafted Northern Flicker and the Red-shafted found mainly in southern British Columbia. Both have a spotted breast, black breast band below the throat, black barring on their backs (lines that run across their backs from wing to wing) and white patch on their rump, visible in flight. The Yellow-shafted males have a red patch at the back of their heads, a black stripe down the side of their brown face and brilliant yellow under their wings and tail. Red-shafted males, however, lack the red patch on the back of their heads, have a red stripe down the side of their grey face and a bright orange-red colour under their wings. They also have a bit of white around the black breast patch. 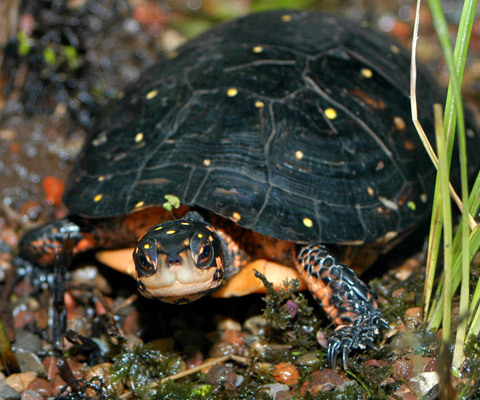 Females of both sub species appear the same except for the lack of the red or black stripe down the side of their face. In areas where both sub species are found close they sometime hybridize making identification tricky. 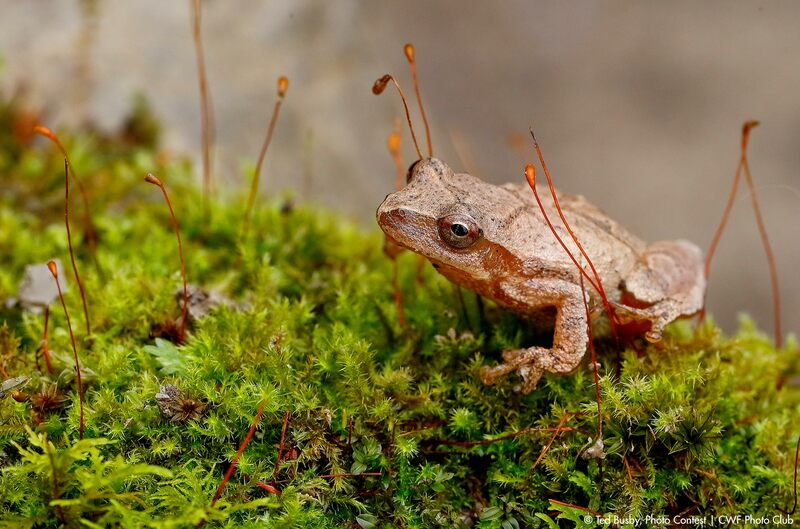 As spring comes alive with the sound of frogs there is one group in particular, the treefrogs, that continue to fascinate us with their small size and unique toe-pads. Approximately 8–13 mm long; the queen is 17–19 mm long. These are fairly large, hairy bees with yellow, black and orange bands. 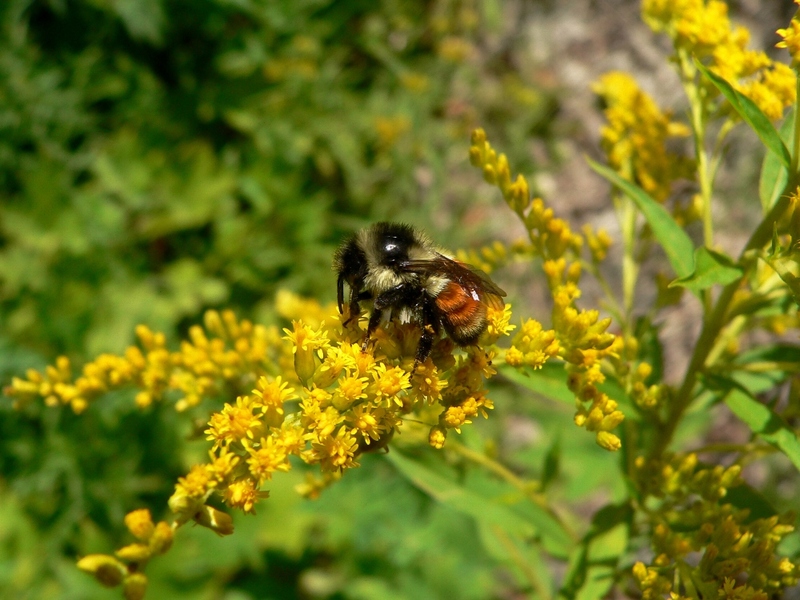 Females carry pollen and nectar in “baskets” made of long hairs on their hind legs curved inward toward the body. The (great) white shark is the most famed of shark species, known worldwide for its large size, predatory nature and reputation for occasionally attacking humans. 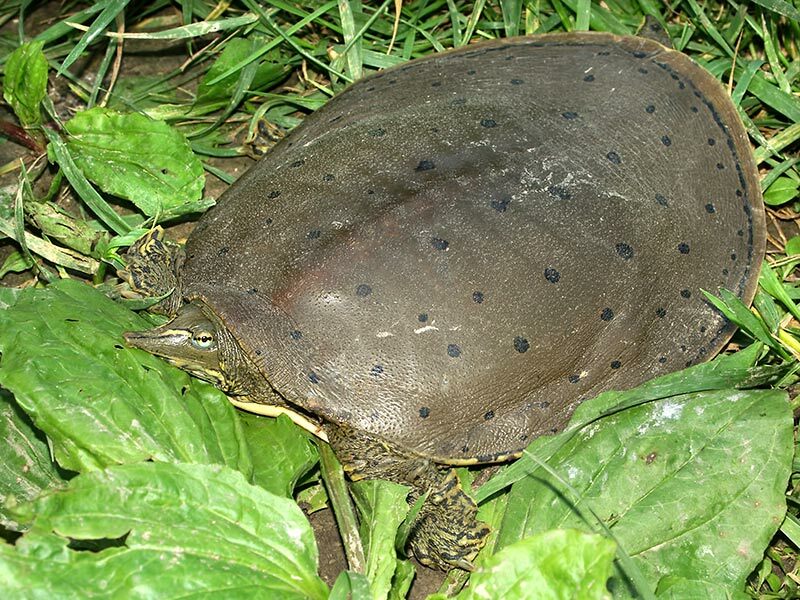 It is recognizable by its immense size, conspicuously black eye and the sharp contrast between its backside and underside colouration changing from dark grey, or even black, to white. It has a heavy spindle-shaped body, a moderately long conical snout, and large triangular teeth with blade-like serrations. The most distinctive feature of this relatively large sparrow, as reflected in its name, is the striped crown. 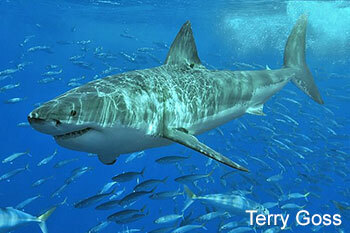 Its grey head is crowned with conspicuous black and white stripes. 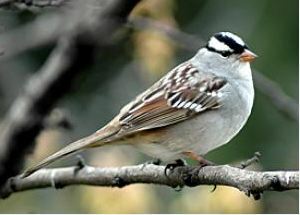 The white-crowned sparrow lacks the yellow spot near each eye and the white throat of the white-throated sparrow, a close relative. This bird is approximately 17 - 19 cm in size. Loud scuffling in the bushes often signals the presence of this spirited bird. 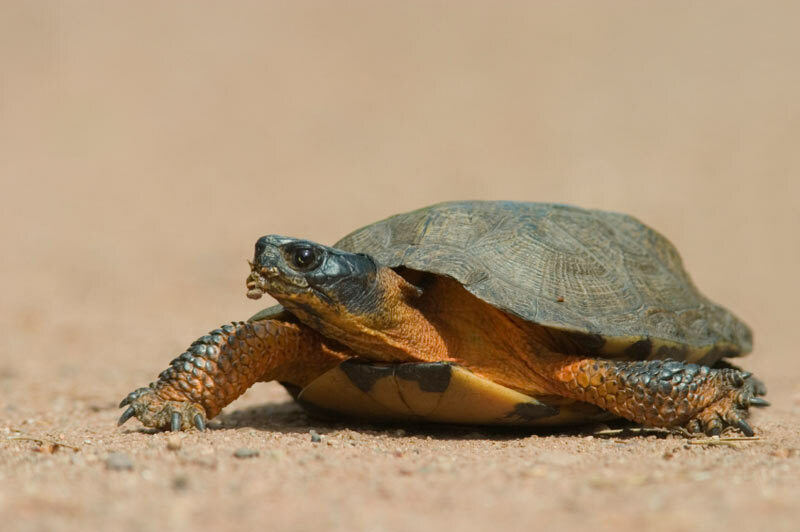 Using both of its rather large feet, it vigorously scratches among the leaf litter in search of food.